Taking a sunset boat tour or trip is a fantastic experience taking home some beautiful holiday photos and great holiday memories. All tours and trips include a lunch and most, a free cocktail at sunset. 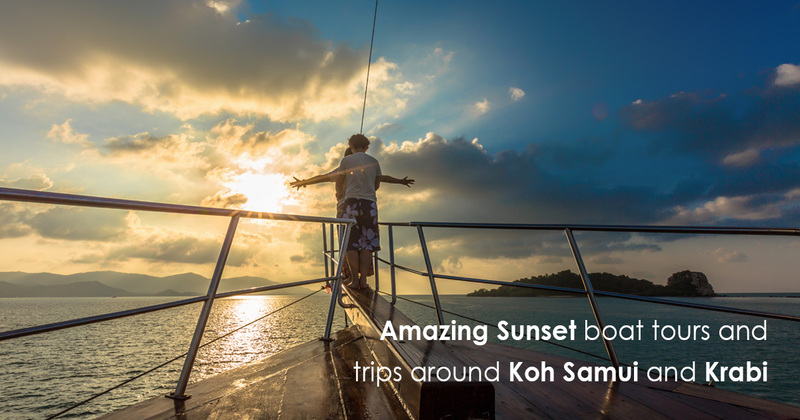 You will enjoy the surrounding landscape, and small Islands around Koh Samui and Krabi.